iNG Menu Video Dec 2011 from I am the walrus on Vimeo. Resident Foodies say: Chef Homaru Cantu puts out some really creative dishes at Moto and iNG restaurants in Chicago. Here’s a video showing the menu at iNG. Very cool. Flavor Tripping On Ice with Top Chef Contestant Richie Farina & Moto Chef Alex Gleason. Reservations at 8558346464. from I am the walrus on Vimeo. Resident Foodies say: Top Chef contestant Richie Farina and Moto Chef Alex Gleason carve an amazing Christmas ice sculpture. Watch the video. 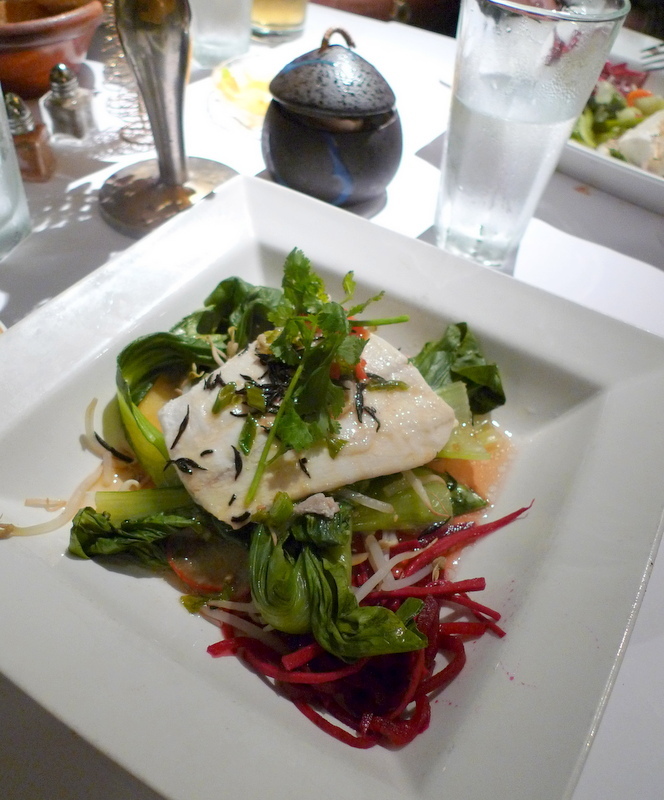 Resident Foodies say: We think we found the best seafood restaurant in Naples, Florida: USS Nemo. Named and decorated like a ship, the restaurant knows how to create innovative seafood dishes. To start out, USS Nemo serves free homemade bread with a plate of hummus, seaweed salad, and lettuce with ginger sauce. The concoction is different in a good way, and lets you know you are in no ordinary restaurant. 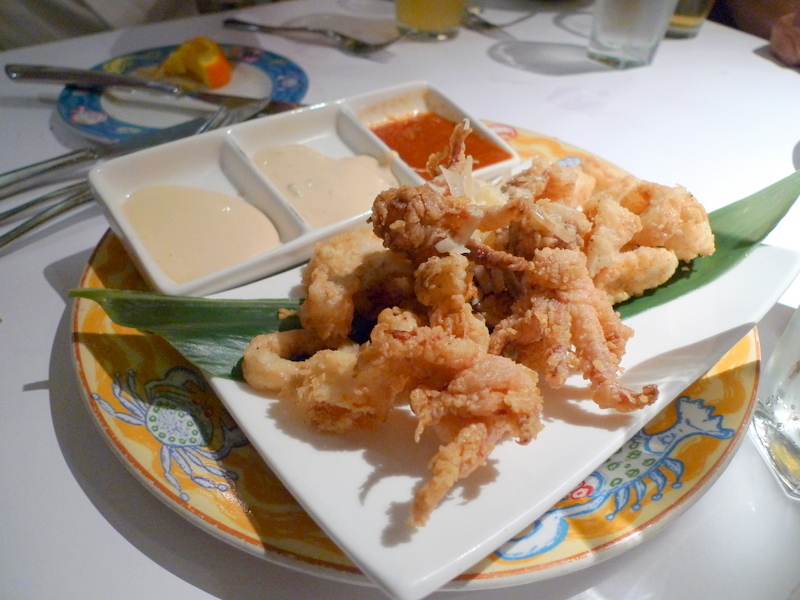 Pictured above is the tempura calamari with 3 tasty sauces: red sauce, aioli, and yuzu. We liked the yuzu sauce the most. Pictured below is the ginger steamed fish (halibut) with steamed bok choy, beans and shiitake, rice ginger soy-lime dressing. 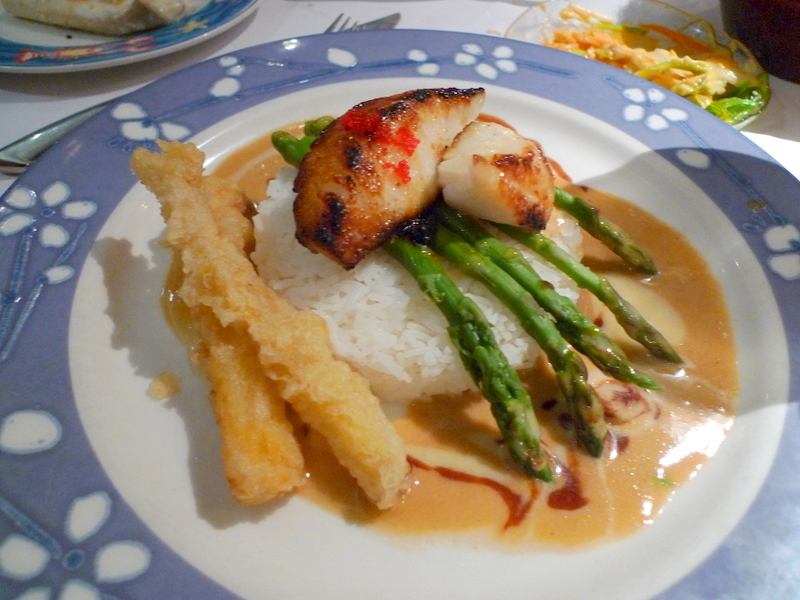 We also tried Nemo’s signature dish: miso broiled sea bass with citrus-ginger butter sauce, steamed rice, asparagus, carrot tempura. Everything was incredibly tasty! 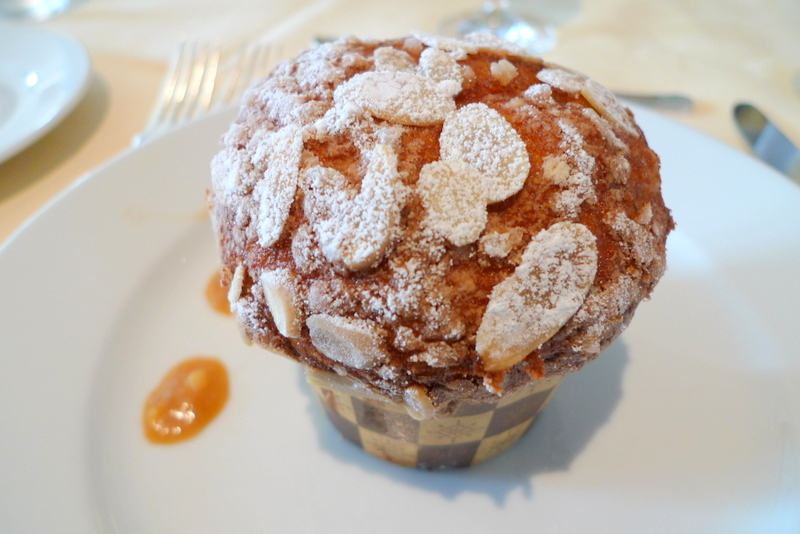 Resident Foodies say: We loved the texture and color of this almond muffin with a drop of caramel. 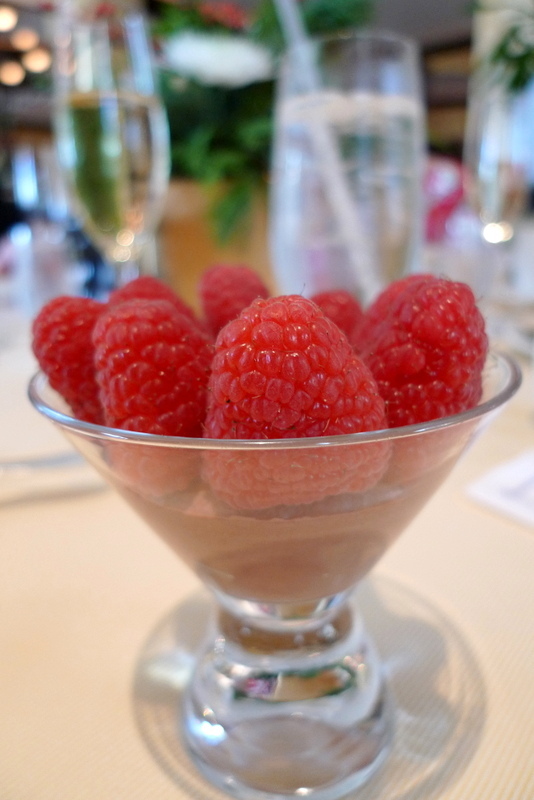 Resident Foodies say: Merry Christmas! We just had a feast at the Ritz-Carlton and hope to share several of the amazing creations cooked up by the chefs at the Ritz. 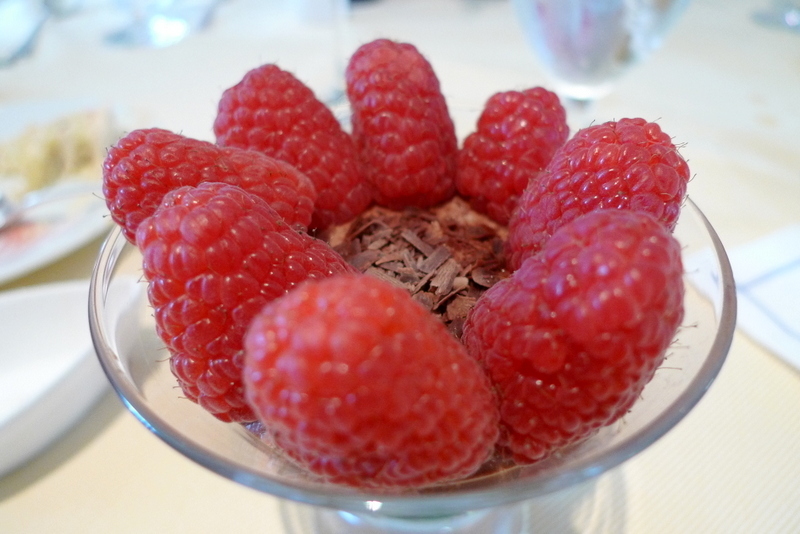 Here’s a chocolate mousse with a wreath of raspberries that was to die for. 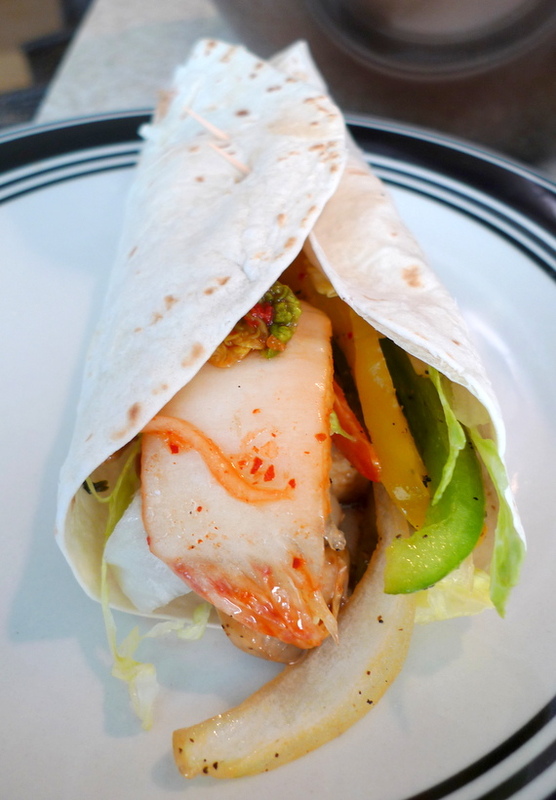 Resident Foodies say: We’ve been spending time before the holidays experimenting with Korean tacos. 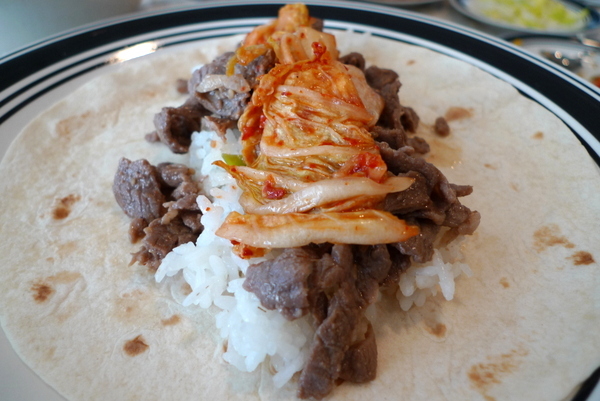 Today we made two varieties: a Korean bulgogi kimchi taco (which is bit more authentic, made with the traditional Korean thinly sliced beef) and a Korean chicken kimchi taco. Our kimchi was homemade, but you can get quality kimchi from the Asian market or Korean store. Make sure it’s fresh. The cabbage should still be crunchy, the color a bright orange red, and the kimchi fermented for a few days. 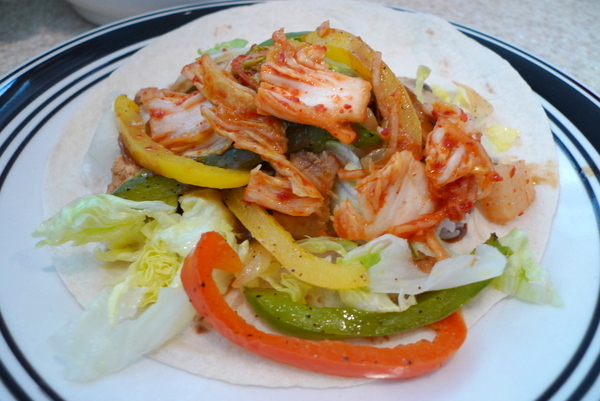 The prep time for the Korean taco is only about 30 to 45 minutes. Recipe to follow.